NO DEBT, NO CREDIT SCORES. 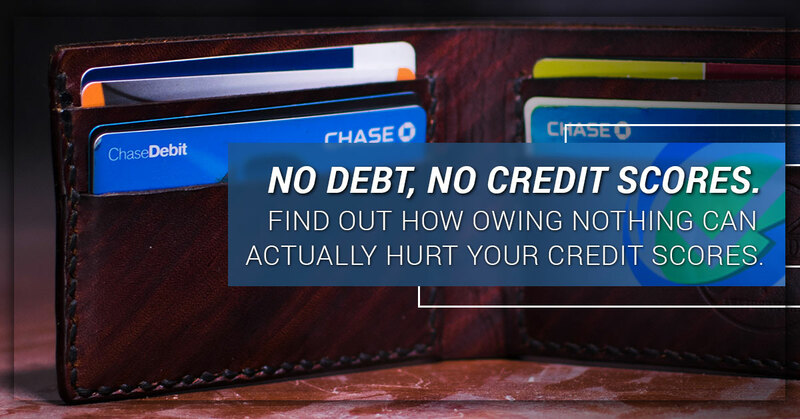 FIND OUT HOW OWING NOTHING CAN ACTUALLY HURT YOUR CREDIT SCORES. Credit is game and you have to play by the rules. One of the rules is that you have to have a proper mix of credit on your report OR ELSE you won’t generate credit scores. Some lenders can help you with “no score” loans but MOST are going to require a certain credit scores.